Enjoy the medieval atmosphere in the only museum of its kind, located in an original authentic brew house from the 15th century. This exposition introduces the oldest history of the city of Pilsen, the development of trades, the establishment and expansion of guilds, the beginning and development of the beer brewing industry, malting, cooperage, cartage and the hospitality industry. Discover the ancient secrets of beer production and serving. 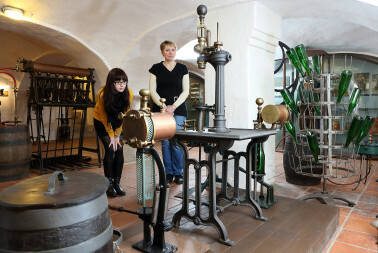 View the malt house, the so-called “hvozd”, the rolling room, the laboratory and cellars. We will show you beer steins made of glass, ceramics and tin, and a collection of beer bottles and other collectibles. The Pilsen Historical Underground, with its nearly 14 km of corridors, is one of the largest historical underground systems in Central Europe. 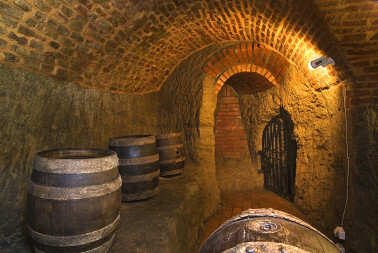 The underground tour path is about 800 m long and at depths of 9 to 12 metres below the historic city centre of Pilsen. Become familiar with medieval life below the city, and uncover the secrets of authentic discoveries and corners hidden underground. 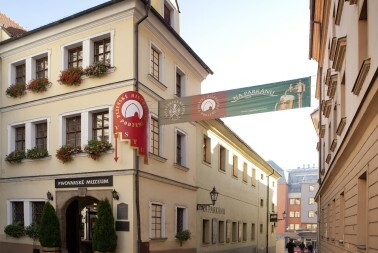 The Brewery Museum has prepared three interactive learning programmes for first and second-grade pupils about the history of Pilsen and traditional trades.The different language versions also make them suitable for enhancing language instruction. The programme can be adapted to secondary schools.